FALL RIVER, Mass. 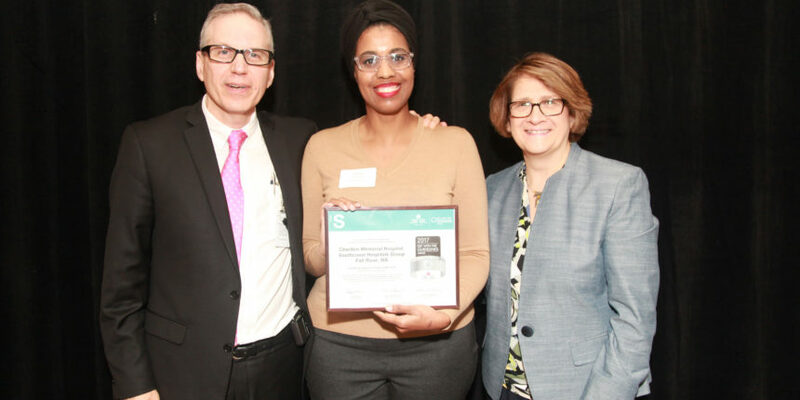 – Southcoast Health today announced that it has received the American Heart Association and American Stroke Association’s Get With The Guidelines – Stroke Silver Plus Quality Achievement Award for its exceptional care of stroke patients at Charlton Memorial Hospital. The award recognizes the hospital’s commitment and success in ensuring stroke patients receive the most appropriate treatment according to nationally recognized, research-based guidelines based on the latest scientific evidence. To receive the Silver Plus Quality Achievement award, hospitals must achieve 85 percent or higher adherence to all Get With The Guidelines – Stroke achievement indicators for at least 12 consecutive months and during the same period achieve 75 percent or higher compliance with five of eight Get With The Guidelines – Stroke Quality measures. Get With The Guidelines puts the expertise of the American Heart Association and American Stroke Association to work for hospitals nationwide, helping hospital care teams ensure the care provided to patients is aligned with the latest research-based guidelines. Developed with the goal to save lives and improve recovery time, Get With The Guidelines has impacted more than three million patients since 2003. According to the American Heart Association/American Stroke Association, stroke is the number five cause of death and a leading cause of adult disability in the United States. On average, someone in the U.S. suffers a stroke every 40 seconds, someone dies of a stroke every four minutes, and nearly 800,000 people suffer a new or recurrent stroke each year. Get With The Guidelines is the American Heart Association/American Stroke Association’s hospital-based quality improvement program that provides hospitals with tools and resources to increase adherence to the latest research-based guidelines. Developed with the goal of saving lives and hastening recovery, Get With The Guidelines has touched the lives of more than 6 million patients since 2001. For more information, visit www.heart.org.